This is a common exception to beginners in using OpenSAML. 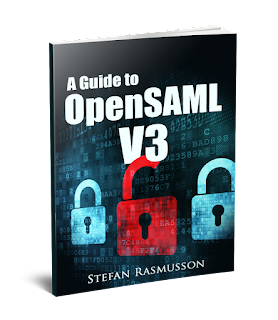 A common mistake when starting to use the OpenSAML library is to not initialise the library. OpenSAML needs a couple of configuration files in order to work. The library is provided with a default set of these files that is sufficient for mot uses. Before starting the use the library the configurations must be loaded. This is done using the bootstrap function. If you do not do this before you start using the library, you might run into exceptions like. What to do if DefaultBootstrap gives an InputStream cannot be null? Do I need to put a config-file somewhere specific? If so, which file and where should I put it? Couldn't identify the reason, can you guys help on this. please. Thanks, after adding openws.jar and creating a good X509 certificate, I now got it working.